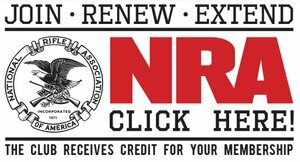 BELLEVUE, WA – Contrary to what Homeland Security Secretary Jeh Johnson said Tuesday that gun control is a “critical element” of protecting the nation against terrorists, the Second Amendment Foundation today said the right to keep and bear arms is this country’s original homeland security, and he needs to remember that. In response, Gottlieb observed, “What we really need to do is maximize the ability of law-abiding citizens to exercise their right to bear arms. Nothing deters terrorists as well as good people fighting back. Gun-free zone designations certainly haven’t stopped the atrocities in Paris, San Bernardino and Orlando. Restrictive concealed carry laws that prevent honest citizens from having the tools they need for self-defense have turned people into victims. “Jeh Johnson has this one completely backwards,” he continued. “Nobody wants terrorists or even common street criminals to have guns. But laws that penalize honest Americans, and that ban certain types of firearms, will not prevent bad people from committing mayhem. “The conversation should not be about firearms, but fanatics,” Gottlieb stated. “But Johnson’s boss, Barack Obama, can’t even bring himself to acknowledge who and what the enemy is, without having a temper tantrum on live television.